Whether it is a brand new with the new car smell or car that’s new to you, it can be very exciting getting a new one. Sometimes though, it can feel overwhelming when you have to pay that first month’s car payment. We wanted to share some tips with you on how to save on your auto loan, and ultimately get a good price when buying your new car to help put your mind at ease. New cars lose about 25% to 30% of their original value once you drive them off the lot. The last thing anyone would want to be is upside down on their loan. Being upside down on your loan is owing more than what your car or property is worth. Simply put, having a considerable down payment amount will not only help you avoid that, but it will also help minimize the amount you will pay each month. If you do not have money for a down payment, and you can afford to wait for a while on the car, then it is recommended that you take time and save for one. Another great benefit of making a down payment is that you probably will get a better deal on your auto loan. If you do not have the cash and cannot wait, then you can consider using your old vehicle as a trade-in value towards the car. 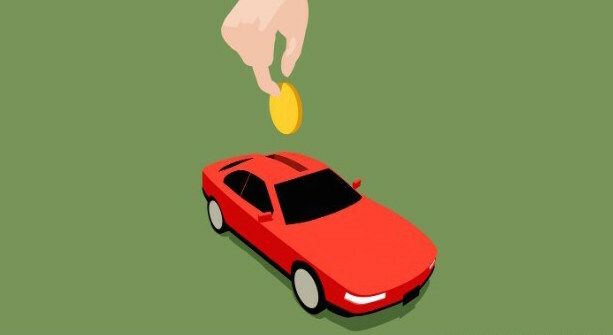 Tip: Don’t forget to negotiate the terms of your auto loan! Most people know that you can refinance their mortgage in times when interest rates drop. However, most people don’t know is that you can also refinance your car loan too. Not only does it reduce your monthly payment, but it also minimizes the interest rate you are paying which makes the total cost of the car cheaper. And in most instances, you can pay it off even sooner! Since automobiles depreciate very fast, it is important for you to pay off your auto loan quickly. How much will refinancing save you? Assume you received a 60-month loan of $16,000, at 21% interest, because you had a lower credit score. This auto loan will cost you about $440 every month. You will end up paying over $10,000 in interest within the 60-month period. On the other hand, if you were to refinance and get a 7 percent interest, the payment will drop to about $325 per month. That means you will only pay slightly over $3,200 in interest. What would you do with the extra $115 every month? Hint, add it your auto payment to get it paid off faster! The auto loan is arguably a more essential purchase than the vehicle itself. Even though the interest rate environment is relatively low at the moment, there is still some room for lower rates which will result in less cash out of your bank account. Start with your bank, but also look around at the rates of other lenders including credit unions. You can also apply for a pre-approval and bring it with you when you go to purchase the vehicle in question. This will give a bargaining leverage when negotiating the price of the automobile. Before signing any deal, spend some time shopping around for the best rates, as even another dealer might offer you a lower interest rate. Terms of your auto loan are usually based on your credit score. If you have a high credit score, you are likely to receive a lower interest rate. If you do not, you are likely to pay more because of your questionable credit history. But if you have problems with your credit history, and do not need to buy a car immediately. Consider waiting until when you credit score increases. Even a small decrease in your interest rate will save you a lot of cash in the long run. There several ways to save money on your auto payments, but the final word of advice is not to rush the process of purchasing a vehicle. From the very beginning to the end, weigh all your options and you will be much better off! This is some really great advice on saving on your car loan! Your point on refinancing to save on interest is especially helpful, especially since I didn’t know that was an option. Right now, I have a car loan, but the interest rate is a little higher than I’d like since my credit line is so new. I think I’ll check and see what kind of interest rate I could get now that my credit is more established.